It’s rare for me to visit a place and then, not 2 weeks later, make a return trip to that same area. But that’s exactly what I did after my visit to Champaign County, Illinois. 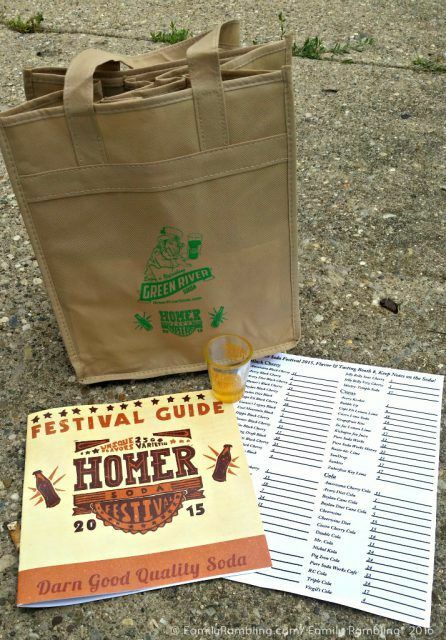 All it took were three little words: Homer Soda Festival. 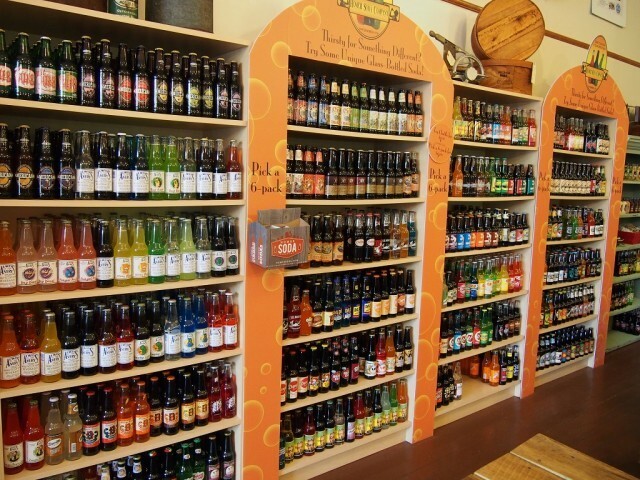 Soda-licious – the Homer Soda Company, in the tiny town of Homer, carries small-batch sodas from across the country. I learned a lot during my brief visit to the Homer Soda Company. 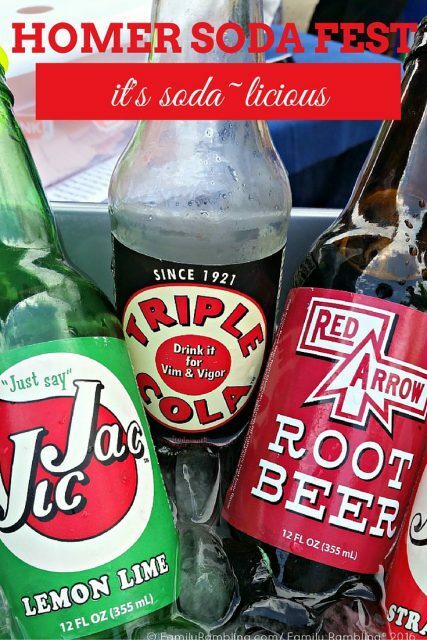 A family owned and run business, the Homer Soda Company stocks hundreds of glass bottle sodas- favorites from yesteryear like Brownie Root Beer and small batch specialties from across the country like Sioux City sodas from Iowa and Capt’n Eli’s from New England. 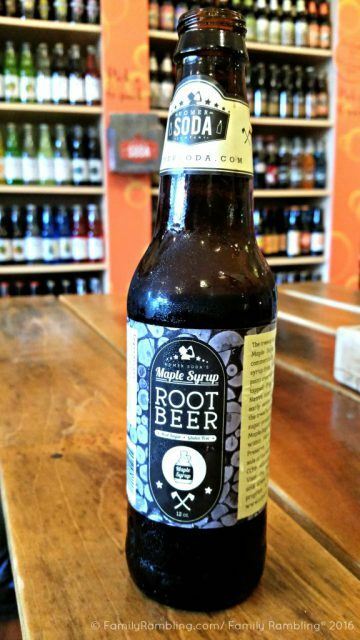 They even have their own small batch soda- Homer Soda Company Maple Root Beer, which is my personal favorite. 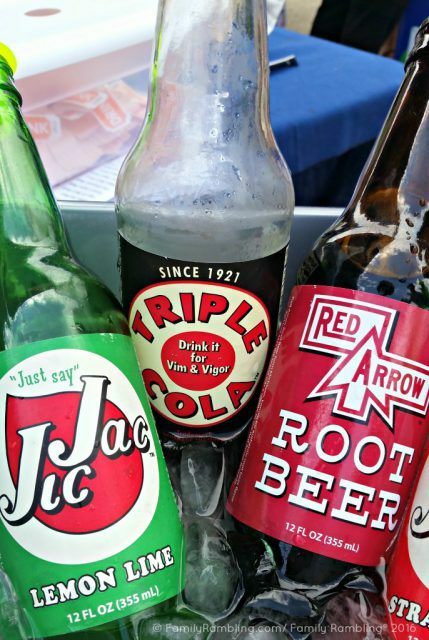 Not only does the Homer Soda Company sell over 500 types of soda to anyone who walks in the door, but they are also one of the largest retro soda distributors in the country. How’s that for small town ingenuity? This one day event, held in early June, brings over 10,000 people to the tiny town of Homer, population 1,000. Tasting tents line at least 6 city blocks, with overflow extending into parking lots and small park areas. Which soda would you choose? Representatives from many of the soda companies are on hand to tell you all about their concoctions and tempt you to try flavors you may be a bit apprehensive about. Kitty Piddle, anyone? Live bands perform throughout the day and you’ll find fabulous local food vendors (no chain restaurants allowed!) to help keep your blood sugar level somewhat normalized. The food at Homer Soda Festival is all local, and all fresh. 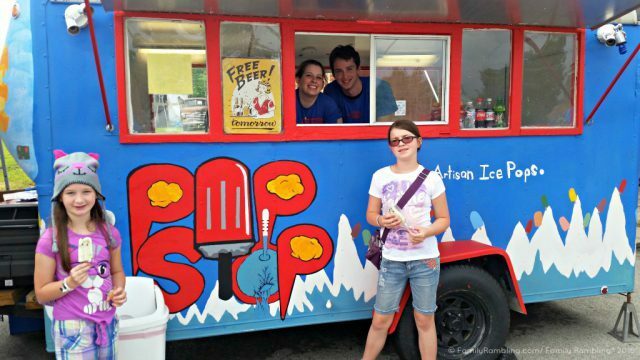 We loved the artisan ice pops from the Pop Stop truck! I knew we had to be there. Beginning at 10am and running for 9 full hours, you want to arrive prepared. Eat a good breakfast- preferably filled with protein and carbs. You’ll need your energy as you will be walking miles today. Also, it’s best not to begin sampling sodas on an empty stomach. Unless you are arriving a couple hours early, be prepared to walk across town to get to the festival. (I did mention this is a small town, right? And that the entire center of it is blocked off with tents?) Wear very comfortable shoes. In fact, wear comfortable clothes. You’ll be outdoors most of the day. It could get hot. It could rain. Be prepared for anything. 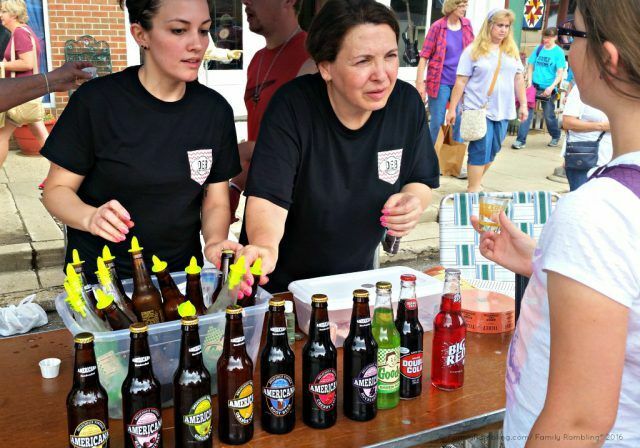 Lots of fun to be had at Homer Soda Festival! 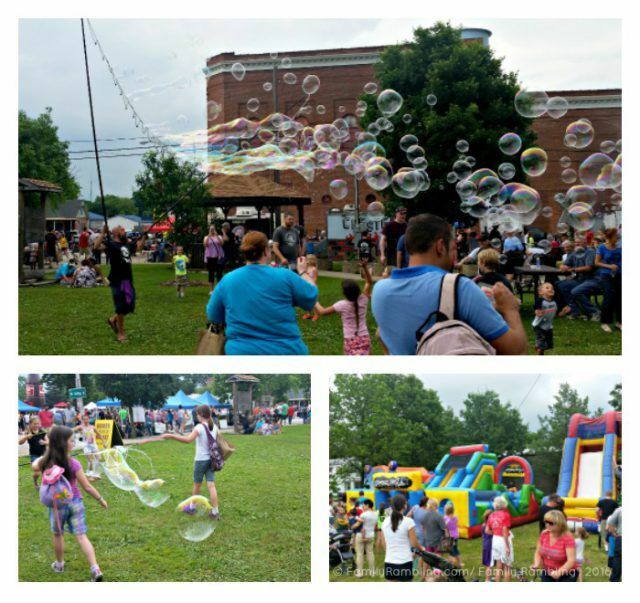 The ‘Bubble Master’, bounce houses, and live music! Soda tasting is by ticket, purchased by sheets of 10. A smarter purchase is the Unlimited Tasting Wristband. 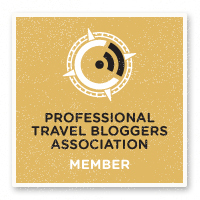 Or be a VIP with advance order passes that score you unlimited tastings, a 6-pak cloth bag (for your soda purchases), branded shot glass, a bottle of soda, and list of every soda available (so you can take notes on your favorites). A few of the items in VIP bag at Homer Soda Festival. Bring plenty of money. And maybe plan to drive. Because you’ll buy a lot of soda to take home. Not only that, but local vendors are open and you’ll likely leave with antiques or crafts that you. must. have. But what if I don’t like soda? I understand! I’m not a soda drinker, either. But trust me when I tell you that you will enjoy this. This isn’t your typical soda. These are small batch, natural ingredient sodas. Sodas that you can pronounce the ingredients when you read the label. I’m not really much of a cola drinker, but when I want one I want one that offers vim & vigor! In fact, you may be a soda snob when you leave. Homer doesn’t have a hotel. We stayed at Allerton Park & Retreat Center in Monticello, about 40 minutes away. If you want to stay closer I recommend iHotel in Champaign, near the University of Illinois campus. Being a college town, Champaign-Urbana has lots of other lodging options, too, about 20 minutes from Homer. Just so you know… Everything about our visit to the Homer Soda Festival was paid for by me. No compensation, of any type, was received for this post. Now that you know that – just plan to go already! Cool! I’ve never heard of this–place or festival! Looks like a lot of fun. I wonder if we have anything similar on the West Coast? Of course you don’t Shelly! It’s time to embrace the Midwest! Thanks Thaleia! Fun fact: the owners of Homer Soda Company are homeschoolers as well! This is what I’m talking about. I love these kinds of specific food/drink related festivals around the U.S. And that VIP pass is awesome. 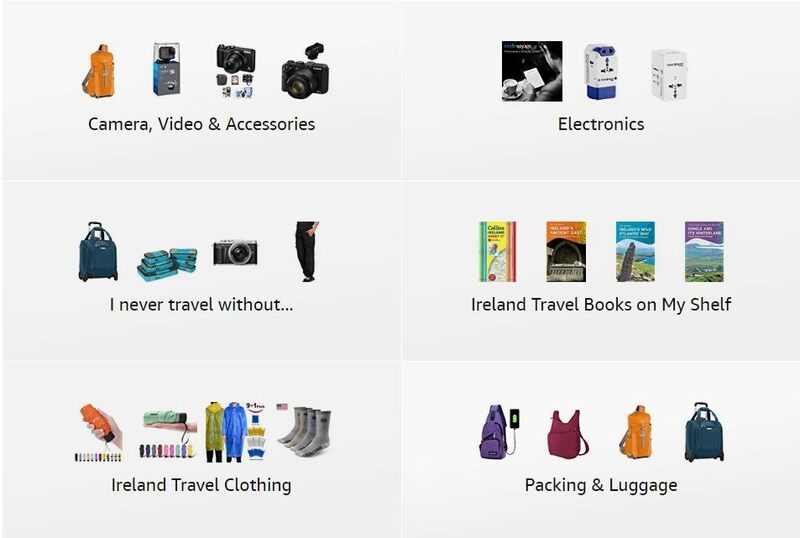 What a great idea to include the bag for purchases. Genious. Great tips! Looks amazing! I don’t like pop, but the best one I ever tried was small batch, rhubarb. If more were like that, I’d be all in! How fun! This sounds like a great festival for the family and I love the weird and wonderful names of the various sodas on offer…apart from, perhaps, kitty piddle!